This little cutie turned 9 months old at the beginning of February! Sorry, guys! I don’t use children’s names in order to help protect them. His parents, Victoria and Brent wanted to have portraits taken of him and of their family for Valentine’s Day to celebrate how much he’s grown, and to send off prints in their Valentine’s Day cards for their friends and family. Because he’s still so little and the weather was miserable this past February, we decided to do their session in their home! 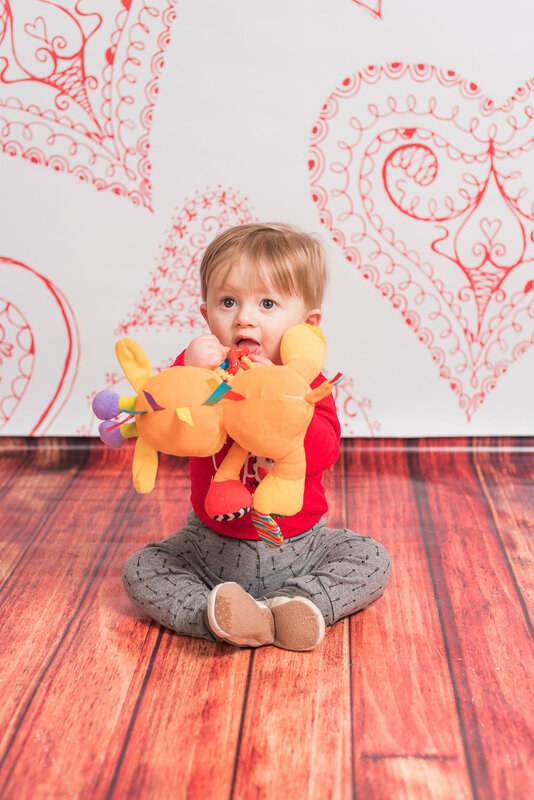 I was able to bring this adorable Valentine’s Day backdrop as well as my neutral gray paper to give them more of a studio feel for their portraits!